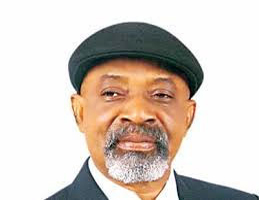 Labour and Employment Minister, Chris Ngige, may head to court over the inclusion of his name on the list of the candidates for yesterday’s rerun election in the Anambra Central Senatorial District. Ngige threatened, yesterday, to sue the Independent National Electoral Commission (INEC) for deliberately listing his name with a view to humiliating him. The minister said he had, in accordance with the provisions of the Electoral Act, informed INEC of his withdrawal from the rerun election on the 13th of January, 2016 when the election was originally scheduled for March 2016. He wondered what the commission was up to after rejecting the name forwarded to it by the APC as his replacement after monitoring the primary that produced the candidate. He accused INEC of working for the candidate of the All Progressive Grand Alliance (APGA) to emerge unopposed. He described yesterday’s election as a charade. He said: ” I’m not participating in the said election which can be described as a charade. ‘I have since, by a letter dated 11th January 2016, withdrawn from this rerun election when it was earlier scheduled for March 2016 in accordance with the provisions of sections 33 and 35 of the Electoral Act 2010 for personal and Family reasons. ‘My party, the APC, accepted and promptly wrote INEC for my substitution. It went ahead and communicated its intention to organise a primary election for my substitution. “The primary monitored by INEC was organised at Awka and the name of a new candidate that emerged was promptly submitted, only for INEC to reject the new candidate on 29 January.